The students of the 2nd form have received a very special parcel these days. It contained about 80 letters from England, each and everyone of them written in German by students of Maidstone Grammar School for Girls, a girls-only grammar school in southeast England. The senders are in their second year of learning German as a second language and told our students about their personal life, their family and pets as well as their last summer holidays. 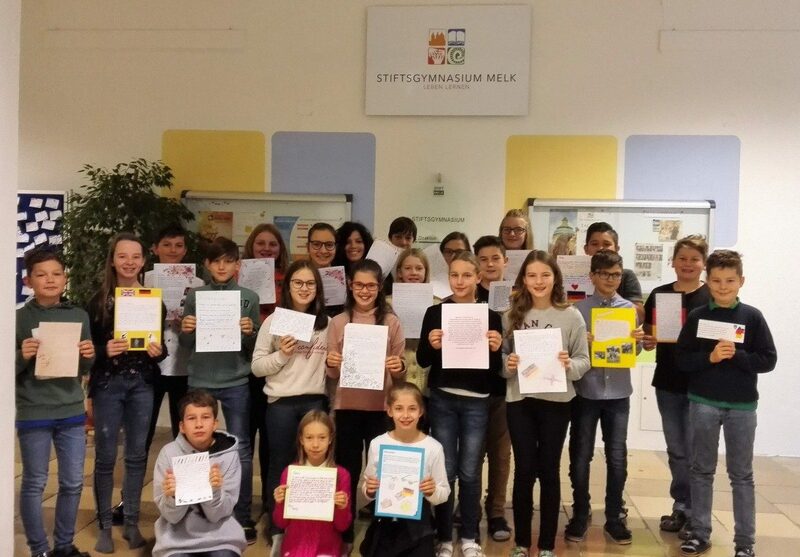 The letters were decorated very nicely with photos, drawings and colours, so that our students were already eager to answer their newly found penfriends, this time in English of course.